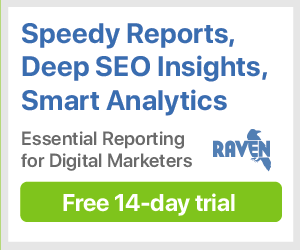 Raven's Keyword Manager is where users can upload, organize and store the keywords that are important to your link building and PPC campaigns. There is no limit to the amount of keywords that you can store, which are organizable by tags and filters. In addition to saved keyword phrases, Keyword Manager also displays Google Ads search volumes and advertiser competition for each keyword, as well as the amount of active and requested links stored in Link Manager which have include a given keyword in their anchor text. If you have Google Search Analytics authorized, Keyword Manager will display Average Rank data from that tool. Use Keyword Manager to store and collaborate on all keywords your team is targeting for a specific campaign. You can upload keywords from multiple CSV files, or send keywords with a couple of clicks from other Raven tools, such as Research Central and Keyword Rankings. At a glance, you can see high-level data from Google Analytics, Ads and Search Analytics for any keyword. See how many active links use that keyword as anchor text — and how many you’ve requested. Toggle between views quickly. Organize your keywords with tags. For example, you can create tags to identify brand terms or group related keywords. Then filter keyword data in other Raven tools and create more specific reports with tags. You can add new keywords directly through Raven, either entered individually or in bulk via CSV imports. This data can then be filtered, exported to CSV or reported with PDFs.